We believe it is as important where you purchase your machine as to which machine you purchase. We strive to educate our customers to make sewing successful and enjoyable. 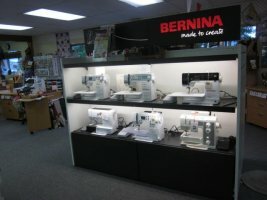 We are an authorized dealer for BERNINA, BABY LOCK, and JUKI Sewing/embroidery machines and sergers. All new BERNINA and Baby Lock machines purchased are entitled to free lessons for the first year. All others may take a lesson if space is available for a $ 10.00 per class fee. We sell manual, electronic and computerized sewing machines. Options available are needle threaders, needle up/down, bobbin sensor, thread trimmers, free motion and embroidery features plus many more. Pre-owned EMBROIDERY MACHINES, SERGERS and SEWING MACHINES- all machines have been serviced and carry a 90 day warranty. 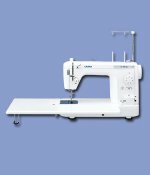 We will explain the features of each machine as they relate to your sewing needs. We want you to be a successful sewer. 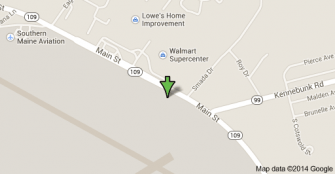 For over 30years we have been servicing machines in Sanford. We offer service and repair on all makes and models. Our customers are occasional sewers, home based businesses and manufacturing companies. We will support you at what ever your level of sewing. Mechanical Sewing Machines - offers full control over all aspects of sewing machine stitch control. Computerizes Sewing Machines - Capable of saving your stitches, combining stitches to create your own motifs. May be connected to your computer to transfer stitches or designs. Embroidery and Sewing Machines - Combination sewing machine with embroidery attachment. Create motifs, input designs and combine designs. Sergers - Sergers stitch at twice the speed of a conventional machine to create ravel-free seams, a tight overlock stitch, and even decorative edging. Overlock machines combine three functions into one simple operation - stitching a seam, trimming the excess seam allowance and overcasting the edge of your fabric – allowing you to achieve professional quality stitching in a fraction of the time. We have a large showroom with these brands displayed.